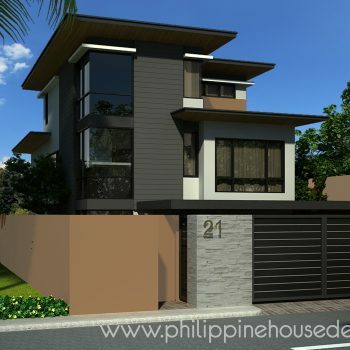 Asian Modern house design is a balance of Asian features and clean lines. Influenced by Filipino, Malaysian, Japanese and other nearby countries’ architecture, this style offers a timeless design for your home. The modernity of the design helps minimize construction cost due to less intricate details. Climate-responsive principles can be applied to this design. While there are fears that globalization has ultimately resulted in houses and cities that looks the same, very strong arguments can be made to the contrary. Asian Contemporary and Asian Modern architecture, for example, is increasingly incorporating traditional aesthetics and techniques. As a matter of fact, architects and interior designers in different Asian countries have long adapted Western Modern and Contemporary architecture to local conditions. In the Philippine setting, we have also done pretty much the same thing. 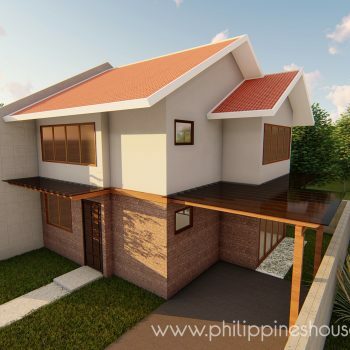 The basic layout of the bahay kubo remains a template in a surprising number of modern houses. However, we’re also beginning to see structures that have influences from surrounding countries in the Asia-Pacific that are also undergoing their own periods of discovery and eclecticism. Here are just a few of the latest Asian architecture trends making their headway in the Philippines today. Perhaps as a reaction to the perception that all Contemporary and Modern architecture throughout the world looks the same, it has been a trend among leading architects in nearly all Asian countries to incorporate elements of their own traditional architecture into their current vernacular. This has resulted in definite, yet subtle differences in the appearance and function of new buildings and houses in different countries. Japanese contemporary architecture is quite influential the world over. Generally speaking, Japanese architecture is known for its contemplative nature and exquisite attention to detail. However, a less-understood facet of it is ihyou, a Japanese concept with no direct English translation that roughly means “surprising”. Thus, one of the main goals many Japanese contemporary architects try to achieve in their projects is to delight, often by making the impossible possible, creating an unforgettable memory of the experience. This is done by giving structures the seeming ability to float or exist where they should not. Meticulous engineering and the use of technology allows architects to create memorable structures that are well outside most of our ideas of what a building should look like. Ihyou can also be achieved by using incongruous-looking materials, shapes, and layouts but in a way that achieves an overall harmony. The well-known Mikimoto Ginza 2 building in Tokyo for instance, has irregularly-shaped exterior windows that do not exactly match the floors inside. The corners windows are also made in a way that makes the building’s regular corners seem much less apparent. Another example, again in Tokyo is Ryue Nishizawa’s Moriyama House, where each room in an individual structure on the home site, subverting expectations of what a house is. Chinese modern and contemporary architecture has often received a bad rap in previous generations. However, many ambitious architects in China and the Chinese worldwide diaspora have been responsible for some very remarkable structures in recent years. Contemporary Chinese architecture is characterized by a flowing, organic feel that flies in the face of the fact that modern materials and prefabrication are the chief ways these buildings are made. Confucian principles of the role of individuals, Soviet-inspired Constructivist architecture, cutting-edge Western ideas, and traditional Feng Shui all influence the look and feel of Contemporary Chinese architecture, prominently in public spaces, but also in homes. A high degree of eclectism defines contemporary Chinese homes. It’s not uncommon to see interpretations of Victorian and Gilded Age elements inside a glass and steel house. The use of Feng Shui to inform design decisions also results in a unique feel for each custom-built home. While South Korea is often overlooked as a peg for current architecture in the Philippines, Korean architects are doing some very exciting things in helping homeowners assert their Korean-ness in the face of modernity. Korean residential architecture is particularly noteworthy, as many new examples manage to express both an undeniable modernity and a respect for tradition. More and more new homes borrow elements from the traditional Korean home, the Hanok. While Korean homes run the gamut from micro apartments to large houses, many new ones manage to include such traditional elements such as interior patios. These are often accented with contemporary minimalist elements or traditionally-inspired abstract shapes. The interior patio, called a madang, is a particularly versatile element that is seen more and more in contemporary Korean homes. Homes with a madang are often ‘L’- shaped in warmer climates to allow for better air circulation, and are often box-shaped with the madang fully-enclosed in colder climates to block out wind while still giving access to the sky. This feature can also be seen as an early form of climate-responsive housing that is still seeing new uses today. The madang could also be designed or adapted in ways so as to better express the owner’s tastes or hobbies. When enclosed, the space can even offer additional privacy while still offering a clear view of the sky, which is not always possible in many cramped Korean homes. Bali and Polynesia have strictly different cultures, with one being Hindu and the other practicing a unique form of animism. However, the similar tropical zones where the traditional houses of these cultures were built and the similar materials and requirements available have resulted in houses that have only a few functional differences. Architects working on projects in tropical and coastal zones realized the advantages these traditional houses offered in terms of sustainability and aesthetics, and in the postwar period, Polynesian and Balinese architectural concepts were adapted for use in upscale coastal structures the world over. 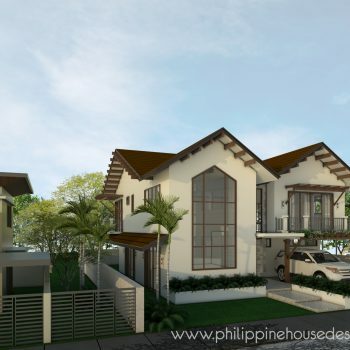 The style has seen a lot of use in the Philippines for resorts and coastal homes as well. The style is characterized by its use of thatch roofing, rattan, coconut wood, and bamboo. Other examples may use teak wood and minimal masonry. Another characteristic is the use of a compound of pavilions with different functions rather than a larger structure with different rooms. 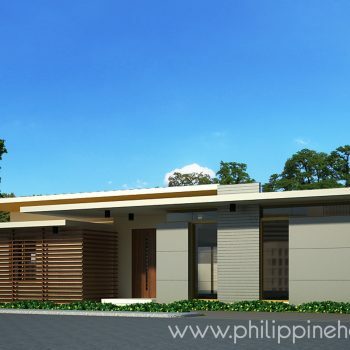 Open pavilions and verandas are also common features for these homes. The basic layout of this locally-popular style can also be adapted to hold more contemporary structures in virtually any other style. Another characteristic of Polynesian/Balinese-inspired homes is the large yard and outdoor spaces necessitated as the style often demands the use of several separate smaller structures as opposed to one large one. This results in great ventilation throughout the compound, which is further helped by characteristic high ceilings and large windows. 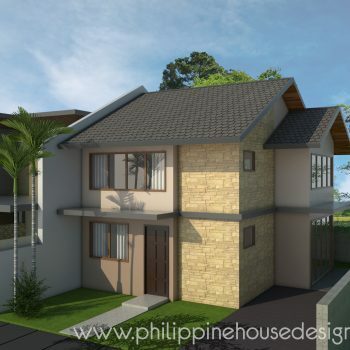 Also similar to traditional Philippine houses, an emphasis is placed on each building having a strong foundation. 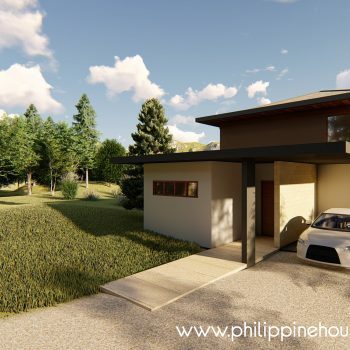 Outer walls encasing the compound are also a typical feature that is also shared with traditional Philippine homes. In Balinese culture, this was meant to ward off black magic. In the contemporary context, however, this wall is more for privacy and security. It’s difficult to pin down what exactly distinguishes today’s Asian architecture from architecture in the West and other parts of the world. However, you tend to see certain patterns that are not always so common in Modern and Contemporary architecture outside the continent. The economic powerhouses of Asia are also among the most densely-populated on the planet. This has caused local architects to design with efficiency in mind. Principles of modern design are used to pack in more and more functionality into much smaller spaces. The micro-apartments that have become emblematic of Hong Kong, Tokyo, and to a lesser extent, Manila, have stretched the possibilities of what exactly could be done with a small floor space. Land prices are high in most Asian megacities, even in most suburbs. 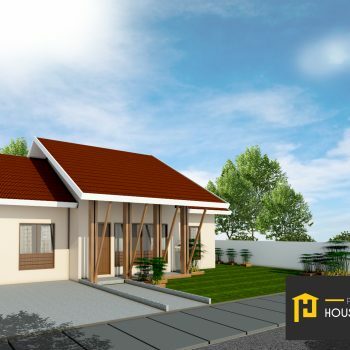 Thus, even when not necessarily bound by the constraints that come with having a small piece of land, it’s typical for both Asian Modern and Asian Contemporary homes to build upwards, adding floors rather than expanding different floors. While this is not unique by any means to Asian architecture today, verticality has come to become a hallmark of modern Asian houses today. Current trends to verticality in Asian homes are somewhat ironic in the historical context. In China especially, houses tended to expand horizontally, as this is was often considered to be more pleasing. Palaces, public works, and even houses of wealthy individuals tended to be spread out, to give a sense of space. Thus in historical Asian cities, the skylines were more often dominated by pagodas and fewer rooms had high ceilings. In contrast, verticality was already a feature of densely populated European cities even as far back as the Roman times, and rich individuals often had homes where some rooms had high ceilings. Horizontal emphasis continues to be a feature of Asian homes despite most of them being far smaller than was normal in years past. Visual cues tend towards the horizontal, and when budgets allow, lower, more spread-out buildings and compounds are often preferred. While “organic architecture” now often refers to the types of structures made famous by Frank Lloyd Wright and to a lesser extent, Antonio Gaudi, building structures so that they seem alive, flowing, and one with the environment is not a new idea. Historical Asian architecture, in general, is well-known for exhibiting these qualities, with the Pan-Asian concept of harmony often informing design decisions for buildings. In Japan, this idea of structures having organic forms was taken to another level by the Metabolism architecture movement of the Postwar Era. Taking cues from how bacteria and fungi propagate themselves, a unique architectural philosophy was extensively tested out in Japan. Metabolism combined emergent prefabrication techniques, Modern architecture trends, and a Japanese take on harmony with nature, creating unique, flowing structures that were specifically designed to easily expand in either vertical or horizontal axis as needs change. In other Asian countries, architecture also tends to blend with the environment or have forms that evoke living objects. Traditional Ivatan houses in the Batanes, for instance, often blend into their surroundings thanks to the types of locally-sourced materials used in their construction as well as the irregularity of the outlines of these materials. On the other side of East and Southeast Asia, the Burj Dubai and Jeddah Tower have decidedly non-regular forms that are far and away from the usual box-type buildings we see the world over. No discussion of Asian Modern and Contemporary architecture would be complete without mentioning Feng Shui. Feng Shui, a uniquely Chinese form of geomancy, is still a major driver of design decisions in Asian Contemporary architecture, especially in parts of the world where there’s any significant Chinese community. Indian contemporary architecture is likewise affected by ancient ideas on house design called Vashu Sastra. 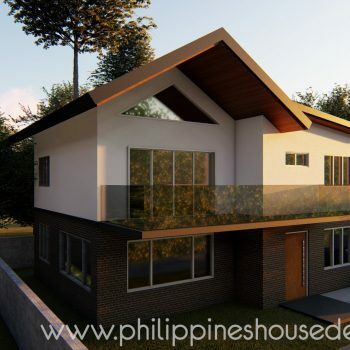 Feng Shui is quite popular in the Philippines and is sometimes even implemented by non-Chinese homeowners seeking to have better fortune and perhaps a better edge in their business and day-to-day life. Feng Shui practices are intended to keep a house in harmony with nature. However, this is done in a way that can be quite different from how a non-Chinese architect may choose to do things. There may be recommendations that may not be efficient in a conventional sense but are vital for how energy (Chi) flows throughout a space. For instance, a building may be built with a specific orientation even if it’s not optimal for a specific space. The way wastewater is handled in a Feng Shui-approved home is, for instance, often seen as impractical and nonsensical by non-Chinese. However many principles of Feng Shui can be seen as good common sense. Many traditional recommendations will improve airflow and make it easy to implement energy-efficient designs. Others are just things that were novel hundreds of years ago, but just make good sense today, such as avoiding building homes near mosquito-infested wetlands. Throughout Asia, traditional skills continue to be employed even in the construction of today’s structures. For example, in Korea, there is a rising trend in incorporating native architectural features into otherwise contemporary homes. To achieve this, workers knowledgeable in traditional carpentry and stone masonry need to be employed for a truly authentic look. 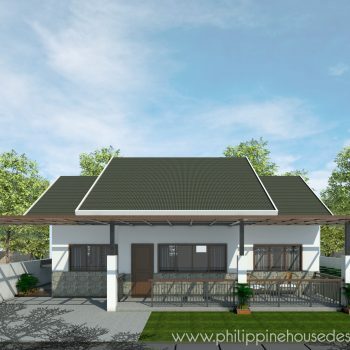 Similar trends are happening all across Asia, including the Philippines, where homeowners are increasingly looking towards native cultural heritage in order to create inspiring homes that look different from the often all-too-similar buildings found the world over. 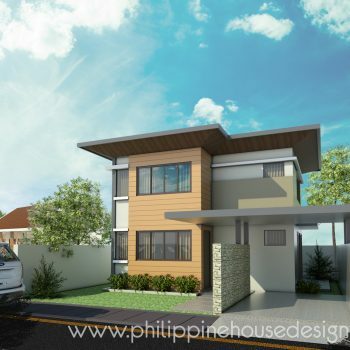 Asian Modern & Contemporary architecture has much to offer the prospective Filipino homeowner. The design philosophies and contexts where they are used are quite similar to our own sensibilities, even perhaps more than new architecture intended for use in Western countries.